The Lupins, naturally preserved, are a typical and tasty snack. 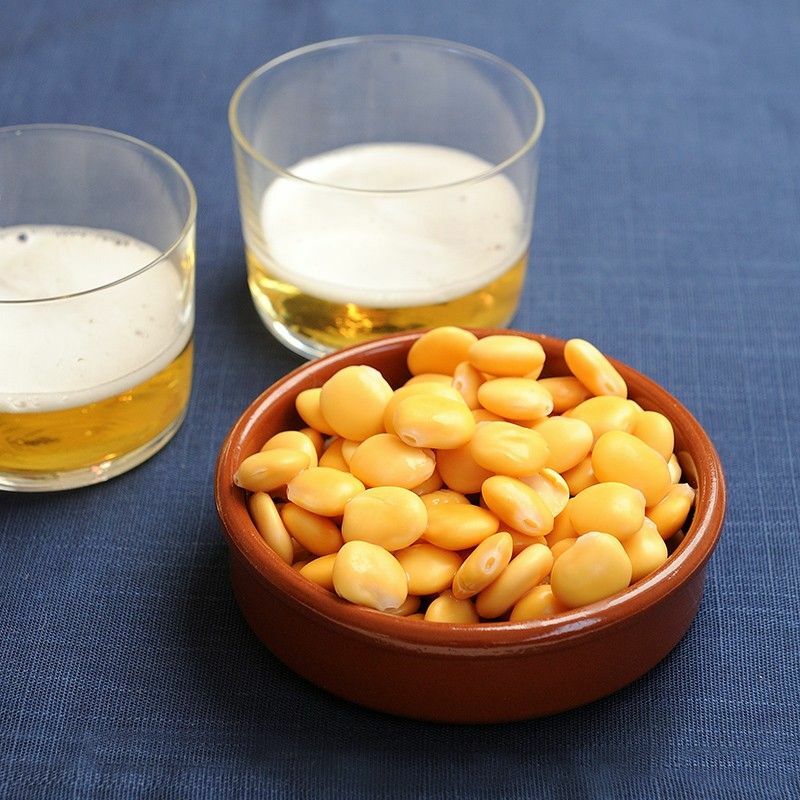 Our Lupins are one of the favourite Spanish kill-times and they are going to make you feel like you are in this typical Spanish bar. The Lupins are naturally preserved and they are a tasty snack. This traditional Spanish kill-time doesn't run out of fashion. Our Lupins are of good quality, big size and tender. They are preserved naturaly so you can enjoy all their taste. Enjoy our Lupins together with a cold beer, as snack, as apetizer or together with a drink in the evening. With our Lupins you'll feel like in that special Spanish bar that you remember.